2016 was a massive year professionally for me and I thought it may be useful to some if I shared my professional blog posts from my appraisal journal. These obviously are not all of them, but they are the ones that centred around play based. The are in order, and just reading them through it becomes obvious just how far I have come. How does number agents fit into this....beautifully, seamlessly, I love it! I can not wait to see what journey 2017 will take me on! It was fabulous to be able to really talk about my where my journey with PBL has taken me so far with particular focus on writing. 1. PBL is just children choosing, it has little to do with learning and is lazy teaching. Foundation learning and developmental discovery time has a place for new entrants, but only for a certain time period each week, or in a special group run by Shelley. 2. Writing needs to be modelled daily, children need to write in books, they need to be taught to draw a picture first, we all write about the same thing and the same motivation. Children write in silence and at a specific time of the day. 3. The day is separated into times ...reading...writing...maths...and other areas. 4. Children need strong direction when working on tasks that will extend their learning. 5. Play does not equal learning. Yes imaginative fun directed learning...not to free play...that is for early childhood, once children are at school they need greater structure. 6. PBL is noisey, behaviour is a problem. 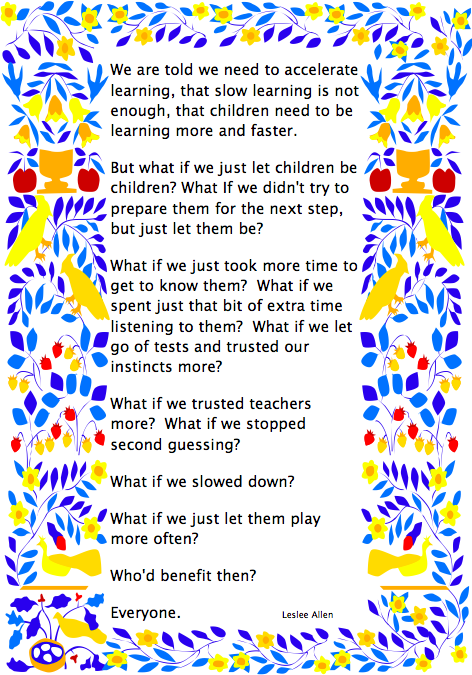 If you had told me that the concepts of PBL and growth mindset would become an absolute passion for me in such a short time, I probably would have believed the growth mindset facet...but play based, really....nah early childhood just need to be doing their job better. Where am I now...what have I found? Through the implementation of PBL I have also explored a lot of student agency and been able to see how important choice is in learning. Writing no longer happens in a slot. Yes I do run 'clinics' but no, children may not write afterwards and that is ok. Play based learning has become a huge part of our morning. 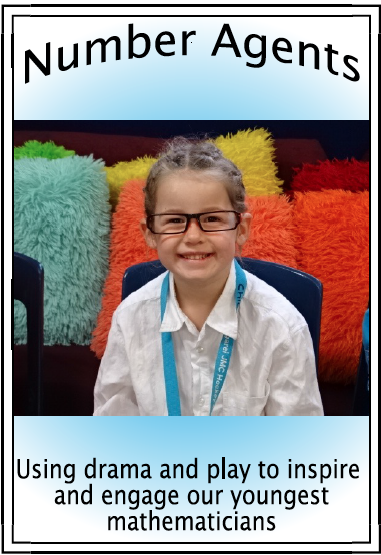 Daily six has given children the opportunity to see ways they can extend their learning. During play based time we will pull our reading children out and do our testing. We can also use this time to rove around and initiate some talk about what children are doing. Writing happens a lot, but it is more based on an invitation to write...boys choose to write...they love writing from pictures, but these are pictures they select. Children hardly ever write in their books. They write in their blank journals or on paper or with clipboards. They no longer get put off by not being able to sit their letters between the lines. They write their own little books, they write about their play, they write about quiver, they write together, they talk about their writing...but the most important thing, I don't tell them what to write. They don't have to write, but they do....some spend a huge amount of their day writing. The less I control...the more they show me what they are capable of. They are more independent, they love having choice...and to my shock horror, they are much better writers...! Wow how does that shatter my assumptions...I don't need to be driving writing...they can do it! Play based learning has been incredibly successful so far. It has certainly shattered my assumptions. Children love the freedom of being able to work on something till completion, even if this means they work on the same thing for a whole week. They love revisiting learning through their play...they often explore strand maths concepts that we have been learning. The talk is huge, they are more socially aware and best of all I think I know them all better. Play based learning has prompted me to explore choice. Not just you can do this...or that...but actually what do you want to do, how do you want to respond...genuine choice. As for lazy...I've never worked harder! I go home exhausted, the classroom is busy, a hive of activity, I am having to think on my feet far more often and respond to the need at that moment....the reflective process has been huge. 1) Invitation to play...I want to explore this concept more and see how I can build areas in and outside of the class. 2)How can play based learning or the concepts behind it be used further up the school and in other classes? 3)How can I now build more deliberate clinics in to my writing programme based on the various levels in my class. 4)I want to grow the play areas outside of Room 1. Daily six was the start of our journey into exploring choice. This has played an integral role in children knowing the options they have to extend on their own learning. 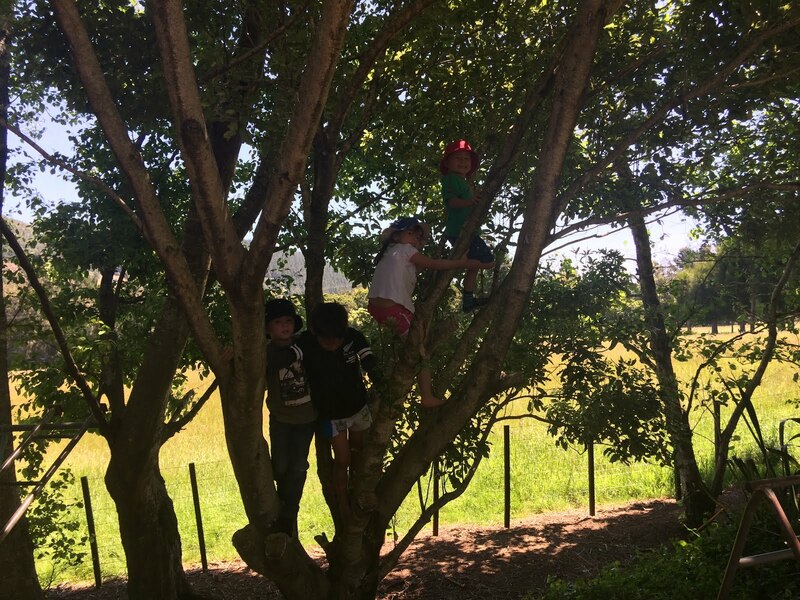 The challenge for us is that children come in in dribs and drabs throughout the year and we have to go back over things again and again...I guess this is a good way of reinforcing, however it does get a bit monotonous for us. The addition of a strong play-based programme this year has seemed to make starting school a little more seamless. Children seem to be absorbed quite naturally into the morning as I guess it seems more familiar to them. When I started out I had a hunch that taking the pressure of standard writing sessions away would be beneficial to boys and recently this has become really apparent. A is a typical boy that may start in any new entrant class. He has limited understandings of alphabet and numbers, but a keen wish to play and experiment. 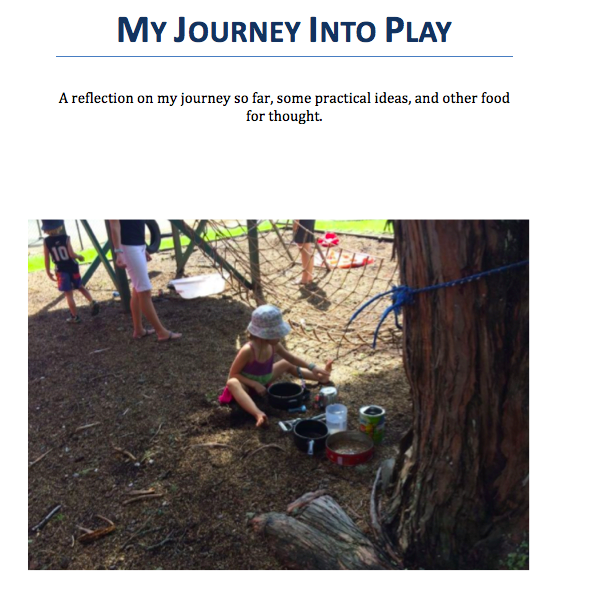 A sees writing as part of play-based learning and because of this chooses to write as part of this process. As A does not go to Kapa Haka, he gets to choose what he does for half an hour....he chose to write...I was so impressed. In fact I think he wrote 4 or 5 different pieces today. A has lovely oral language so I am quietly confident he will find writing development a natural process. Those boys like R who still do not have great oral language do not naturally choose to write, but I am hoping with continued exposure they will start to self-select writing as an activity they would like to do. And as for the acceleration of those natural writers...wow they continue to blow me away. They write, write, then write again. The natural writers don't really need me at all! Well as I have already discovered, take away the pressure, set up an environment of exposure and implement short to the point 'clinic' based learning, with no requirement to fit into a 'mould' and you reap rewards. Now to continue building the oral language of the other children who are not yet using their language to effectively convey a message. I have not posted for a while, but I have been thinking a lot about this topic. I had a little lightbulb moment, which probably seems absolutely obvious to others, but was something that I had not really thought about. I posted a photo of our lovely 'car' on the learning through play face book page. The children happened to be using the car for writing time. One comment on the post was along the lines of..."wow those children are going to love writing as research shows the importance of emotional connection to learning..."
The lightbulb came on and the penny dropped. 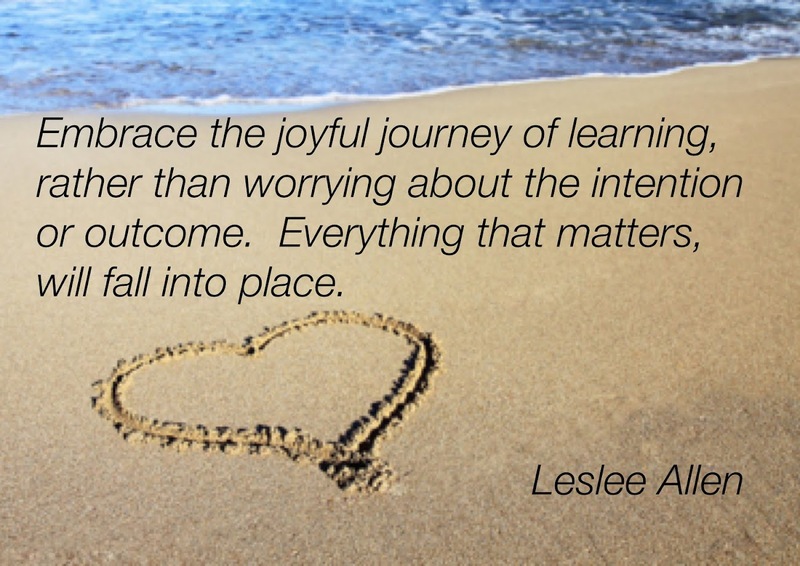 We talk all the time around successful strategies and situations for learning, but when I started ticking off all of the things that have worked so well for me this year, emotional connection was something they all had in common. So obvious, and yet so powerful. The transition to a more fluid, play based classroom has allowed children to form a strong emotional connection to their learning. Therefore as a result their writing has improved because of this. They are authentically connected to what they have been doing, therefore writing is more natural for them. We are formally teaching writing a lot less (once a week) but children are writing more and the teaching is happening when and as it is needed for each child. They can all talk about what they are working on and what they need to do next. For example L is working on sounding arrows and dominant sounds, while A and Z are working on adding punctuation. While R is writing her own little Non-Fiction books. In the past when I have taught writing through motivation I have used a motivation like a cameo that I am connected to, that I loved, and I presumed they would connect to it to. I was driving this connection and it simply didn't work. Don't get me wrong, cameos are superb for clinics, for exposing children to vocab, for giving children an idea of how writing can work. For some cameos were enough of a motivation to encourage them to write. However add the emotional connection and the cameo together and wowsers it will be a totally different story. For the motivation to work effectively this authentic connection needs to be encouraged. So my inclination would be to use experiences and a cameo that link together if using a cameo as a motivation. Experience based writing works too, but only if the children really brought into the experience, if they emotionally connected the writing will be that much better. That is why play works so well, because they are driving the experience. We can check in with them at any time...and this time is usually while they are emotionally engaged in what they are doing so they are ready and primed to build on our feedback. Children can have an emotional connection to writing too, by simply choosing where they write...that element of choice (I guess student agency) seems to switch a button and connect them to the process. I'd love to build places around the school that all children could use for reading and writing outside of the classroom...the ultimate MLE and along the lines of a nature school. Emotional connection can be made in so many ways. When thinking about why Number Agency and Mantle of the Expert are so effective I think the single most important thing is emotional connection. Elevated to expert with many moral tensions children are innately linked into the story, they are living their learning. This link makes the learning strong. I constantly say how amazed I am by how much the children remember while working in Mantle...that's the emotional connection coming through strongly. This is why integrating curriculum areas as much as possible through Mantle works so well. The worrying thing is that emotional connection can possibly go the other way...any negative connections to specific learning such as reading can lead to a real brick wall. This is where growth mindset comes in strongly. I think for us as teachers it means we always need to be conscious of helping children form an emotional connection to what they are learning. To be conscious of the activities we are providing and why, if these activities are making a connection for children, or if they are just doing it because they feel they need to and we want them to. To me this means challenging myself as a teacher and ensuring that my default is always to put student agency and choice at the centre of everything I do. Challenging myself to not just put activities in front of them because...to realise that activities will probably be completed and they will look engaged, but they are unlikely to remember the learning. Emotional connections are the key to getting them started with learning earlier and ultimately we are that emotional connection. Relationships with children help us to build and foster that emotional connection. I am so much more focussed on the power of play and the link between that and brain and vocab development. The way I set up my class for the days learning journey has completely changed. Maths eyes also plays a huge roll in that. I have come to realise the power of visual strategies and presenting open ended problems. Picture books are awesome for this and so far my maths has come out of titles like 'The Very Hungry Caterpillar' and 'Ten Apples on Top.' They are a wonderful warm up in Agency. I am so very aware now of the power of conversation and the way I can help children to make connections in their learning. I am also really aware of the dispositions I need to be actively encouraging if we are to see learners have success later in their schooling. Growth mindset plays a huge roll in this, along with the power of kindness and empathy. I have come to accept that I can not force a brain that is not ready...I can however provide invitations to play...to learn...and to develop the connections to be ready. L comes to mind here. He entered school not ready. For L the connections were not quite there. Classified early on as a struggler, L would probably still be battling away at red level in reading and stage one in maths. In a play based, growth mindset inspired, vocab rich environment L has flourished. The programme put in place has enabled him to build strong connections and to be ready to learn. The front loading of the play based learning, along with daily 6 has meant that now L is ready, he has a head start...instead of battling away to catch up, he is soaring ahead of previous expectations....yes we can all be smart! However it is us, as much as the children that need to believe that, we can accelerate, but sometimes we just need to be satisfied in laying the foundations, establishing the connections and lighting the fire! So all of these developments this year that are based around play based learning have had positive achievement benefits for all children. The developments have worked particularly well for boys and Maori children. "Imaginative play is a crucial component of a child's normal development. What may seem to be a simple and uncomplicated way for children to entertain themselves is actually a complex process that affects all aspects of a child's life. Play shapes how children make sense of their worlds, how they learn thinking skills, and how they acquire language. "Children have dialogues with themselves when they engage in imaginative play. Role-playing means creating a story and giving a voice to the different characters in the story. When children imitate others, they are developing a vocabulary that allows them to name and navigate the world around them. Less verbal children may talk more during imaginative play than in other settings. " -This would explain why it has had such positive impacts for children like Dylan, Cypress and Honor...they are able to participate and engage on a whole different level, in turn developing their language acquisition. "Children at play are making sense of the world through a process of "inner speech" - that is, they are often talking out loud to themselves. As adults, we lose this capacity because it is not socially sanctioned. " The beauty of self-talk to process things. This very much impacts on our just in time teaching. "Imaginative play is essential to cognitive development, but it is becoming endangered by our busy lives. Children who do not engage in imaginative play because their time is overly structured or spent watching television or other forms of media are not developing the language and reasoning skills that are so critical to early childhood development." This gives weight our belief that play based programmes such as number agency and mantle are really tapping into this power of the imagined. Children - How can they really be experts? Must have materials and authentic contexts!